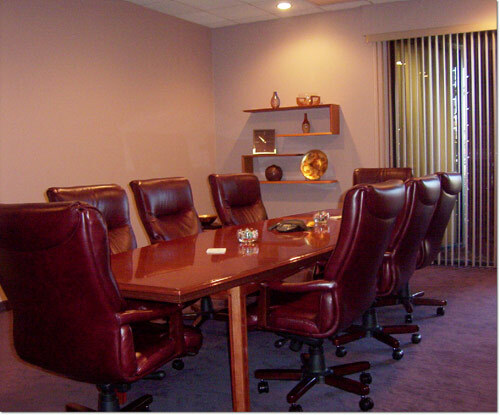 The president of this growing company wanted this conference room to be a place to bring clients in for meetings with his team. It had to look clean and rich, without looking like "we are so successful we don't need their business" he said. Cherry is a beautiful wood for a business setting.